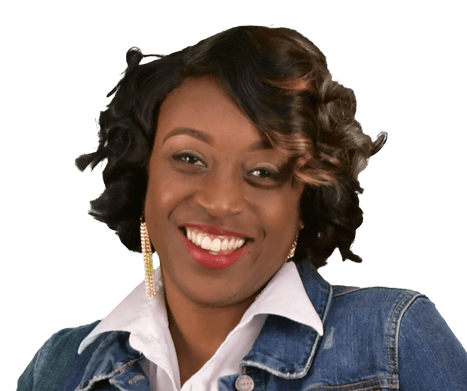 Meet Celebrity Real Estate Broker, LaTisha Grant. A proven authority in the art of leading a team of fearless and dedicated entrepreneurs in the world of Real Estate, this proud Houston native is a graduate of The University of Houston-Downtown earning a Bachelor’s Degree in Interdisciplinary Studies. Upon graduation, she entered the financial services industry as a Lending Processing Specialist for several Fortune 50 and Fortune 500 Companies. Ameriquest, Countrywide and Universal American Mortgage Company A Lennar Builders Preferred Lender, was the training ground where she gained her tenacious spirit, aggressively focused mindset and success strategies needed to become a fearless force in her sphere of influence. Ms. Grant entered the field as a Public School Educator to fulfill her passion for math by teaching 6th grade for three years. As her passion for the next level increased, she decided to integrate her love for education and finance by becoming a Real Estate Professional in 2007. Recognizing the need to educate the youth and other citizens of her local community regarding Financial Literacy, Credit Repair, and Home Ownership, she vigorously aligned herself with several fine organizations that share her mission as a Certified Financial Literacy Educator. As the President for The Women’s Council of HBREA since 2017, LaTisha and her Executive Team has provided Financial Literacy Education for nearly 1,000 individuals along with spearheading initiatives for over 100 Adult Senior in surrounding communities. Additionally, under her leadership, 12 High School Seniors received college scholarships totaling $100,000. LaTisha is proud to partner with Local and National Women’s Councils, Lenders, Banks, and other industry partners to help make Financial Literacy a priority and Homeownership a reality. This outstanding community and industry leader is the proud mom of two amazing sons who are the loves of her life. Real Estate and Financial Literacy is not only LaTisha’s passion but the driving force keeping her tenacious, aggressive and successful. Recognizing the need to educate the youth and other citizens of her local community regarding Financial Literacy, Credit Repair, and Home Ownership, she vigorously aligned herself with several fine organizations that share her mission as a Certified Financial Literacy Educator. Ready to experience the TAS effect? Our team of experienced agents is here to arm you with the knowledge you need to make the smartest, most important purchase of your life. We’re here with you whenever you need us, every step of the way. 2500 E TC Jester Blvd.